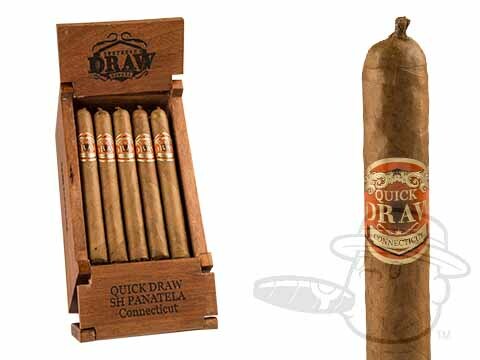 Handcrafted at A.J. 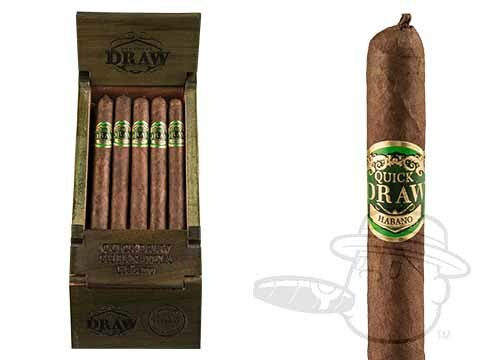 Fernandez’s Esteli factory for the smoker who prefers a slimmer ring gauge, Southern Draw’s Quickdraw cigar brings you first rate, focused full flavor in three unique wrapper shades. 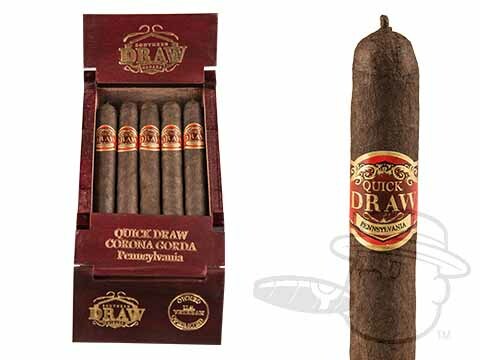 Skillfully combining a fine mix of Honduran & Nicaraguan longfillers under your choice of Pennsylvania Broadleaf, Ecuadorian Dark Habano, or Ecuadorian Connecticut wrappers, the Quickdraw series is your ticket to rich taste with big time spice, sweet cream, leather, and cedar tasting notes with countless nuances. 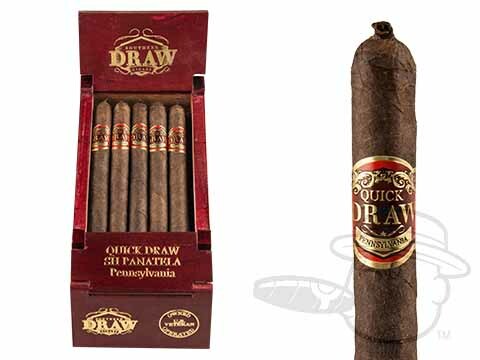 Maxing out at a RG of 44, the Quickdraw series re-imagines the small and flavorful smokes of yesteryear with a delicious new-school tasting profile. 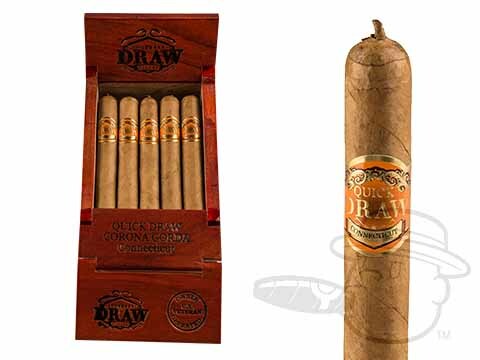 Grab yours here at the lowest prices under the sun.